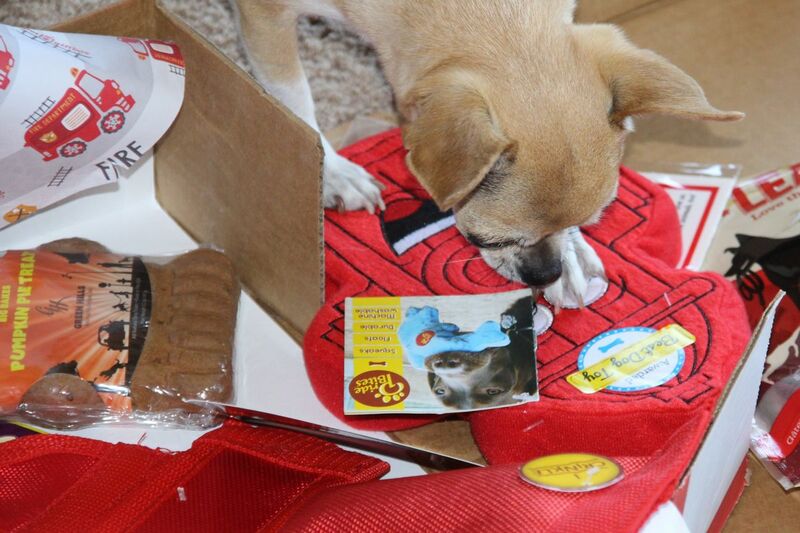 You can save 50% off a Pet Gift Box when you use code: HARLEY – and $15 will be donated to Harley’s fund at National Mill Dog Rescue! 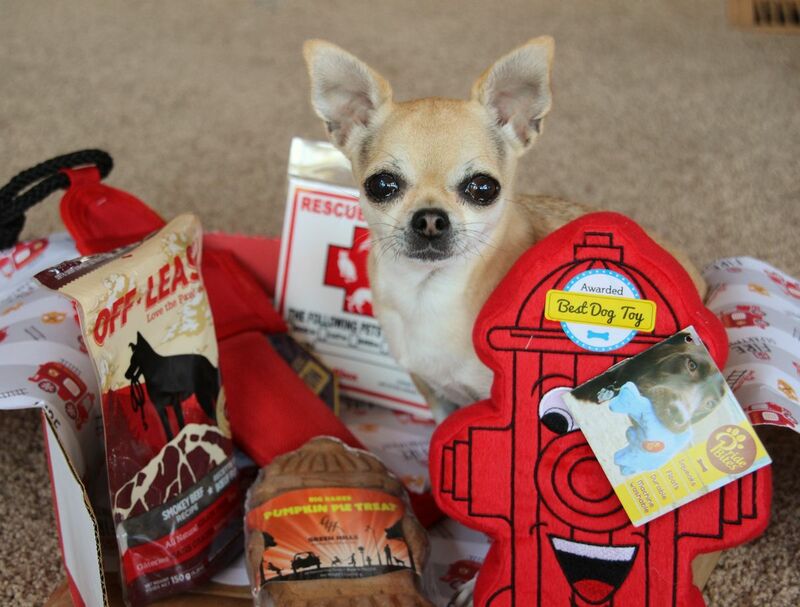 Order here: www.petgiftbox.com There are only a few days left to get the Fire Rescue box, so hurry! Tell her she’s one of the cutest model’s I have ever seen! Olive has such a sweet face. She’s a top model in my book! Her eyes are beautiful! What a cutie!!! Riley and Stella are the only ones I can remember because of the cute video when Stella was hitting you with her tail when she was wagging it. Who could forget Stella, right? She’s the gentle giant among little ones and so beautiful. But Olive and Cricket? are kinda in the background and I don’t hear too much about them. So I’m glad to hear and see more! If I remember correctly Cricket was the first puppy mill dog and she watched over you? And she also got very sick once. Or maybe that was Olive, but I’m going with Cricket. Big family, big heart♡ love this! How beautiful a model Olive is. 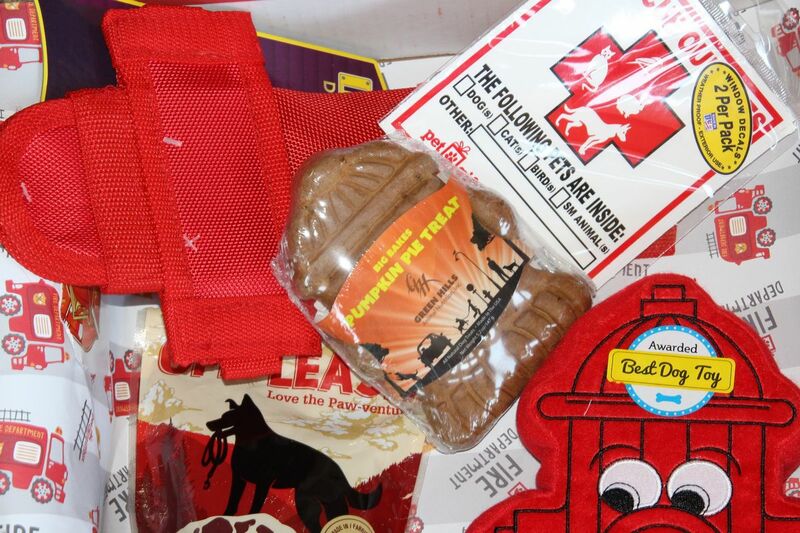 I love the fire treats, too. How nice. Thanks for sharing. Olive is an adorable model. 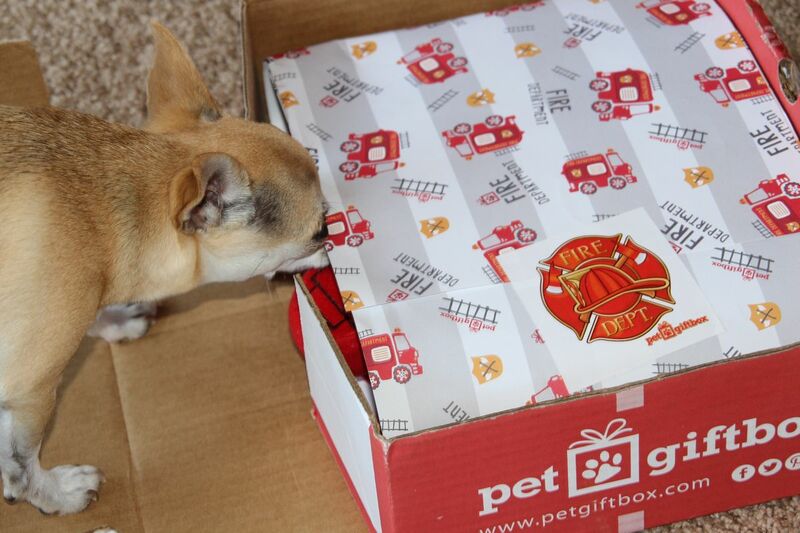 Olive is really enjoying the smells of that box! !